Update! I wrote this post in 2017 after having my Peloton Cycle about 6 months. I have now had it for over two years and I am still as enthused as when I originally wrote this. The Peloton is the only exercise I have stuck with this long in my life. I have lost over 30 postpartum pounds and workout every day. If you are here because you are searching for a referral code to save $100 on accessories please use DKDH9K. Read on for the rest of my Peloton Cycle review! What can I say about the Peloton cycle? Well, I never knew a piece of exercise equipment could have such an effect on my life. 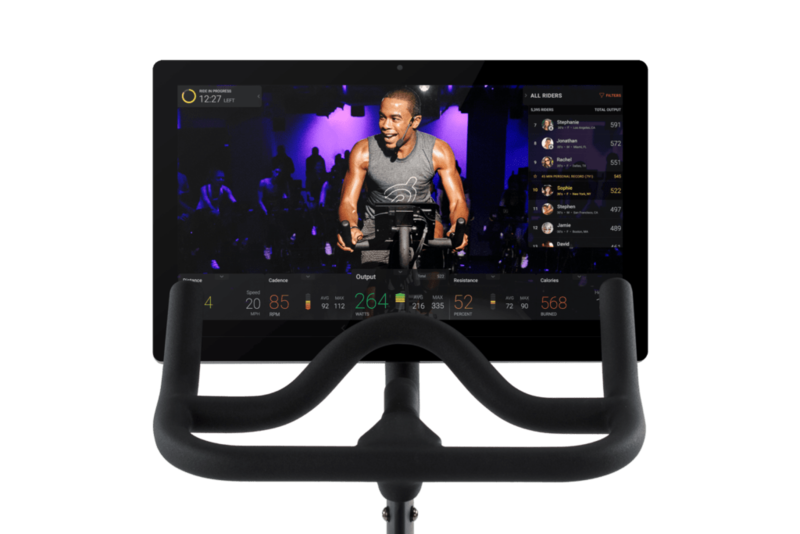 There are many reviews of Peloton to be found but here is a review from a true user. Having three babies back-to-back in less than five years has taken a toll on my body. My third baby was born a year ago, and I knew after a few weeks postpartum I needed to start working out and attempt to get in shape. I decided to try a program which involves a lot of crazy movement, jumping up and down, and generally doing things which aren’t wise while still recovering from birth. I didn’t know though, I thought I was fine but apparently I was not quite healed and injured myself badly . I was couch bound from about 12 weeks postpartum for more than a month. I was not back to myself or doing much movement for closer to three months. I did receive physical therapy, and when I asked the PT what kind of exercise I could do going forward she recommended biking or walking only. Boring. Or so I thought. 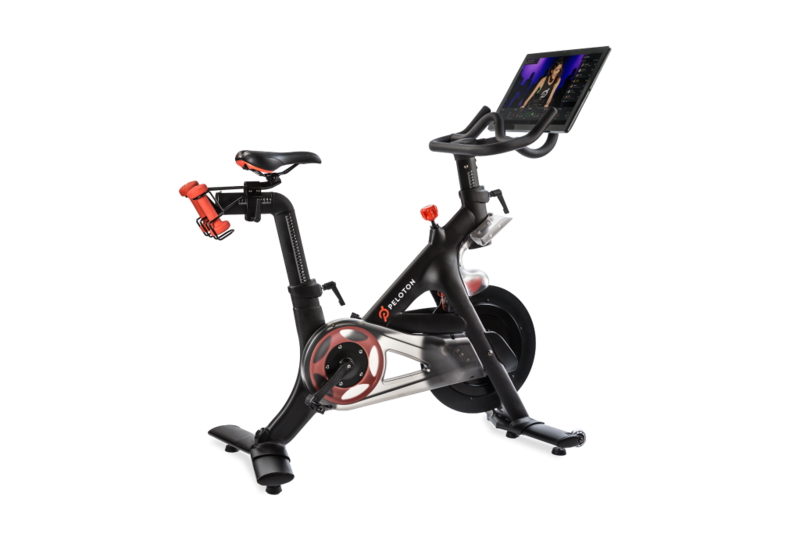 As I researched a bike for exercising, I remembered the Peloton commercials, and while it looked cool it never crossed my mind to purchase it. Well now I gave it another look. 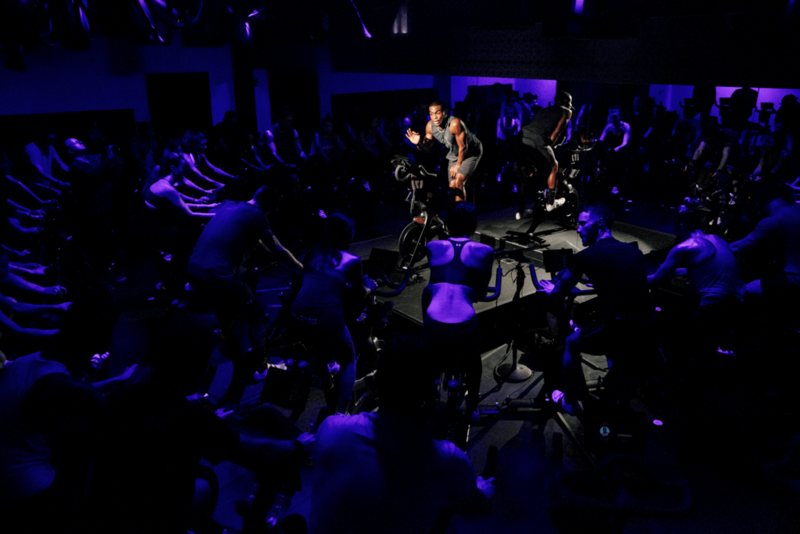 The appeal of the Peloton over other bikes was the option of 12 or more live classes a day, thousands of on demand classes, and a live leaderboard where I can compete against other riders or myself. I need the motivation of a group environment even if I am alone in my home. I used to love gym classes but there was no way a gym was happening with three kids under five. There was no way a stationary recumbent bike was going to motivate me either. I went to the Tyson’s Corner Peloton store to check it out and was sold. I have never taken a spin class in my life but I was desperate to find something fun and motivating I could do while recovering from injury. Now the Peloton is expensive, but I received a generous Christmas gift which helped lessen the cost. The bike is $1995 and then there are mandatory add ons such as delivery and the monthly subscription cost of $39 a month. I paid this all up front so I did not have to think about it all year. There is also financing available which can help. In addition to the bike cost there are accessories such as shoes, a heart rate monitor, mat, weights and so on. You can buy these elsewhere though. When you think about what a gym membership costs and the various other costs we spend traveling to the gym or taking exercise classes, the cost is not as extensive as it may seem at first. And once you own the bike it’s yours forever. If the cost is truly prohibitive Peloton offers an app with a lower monthly cost that can be used with any bike. I know many users who started with the app and upgraded to the Peloton bike later on. The app is great option if you would like to try the Peloton classes before you buy the bike as well. You can see here your speed, resistance, calories burned, output, heart rate if you hook up a monitor and a live leaderboard. After my purchase was complete I was told about an official Peloton rider Facebook page. Now I bought this bike because I knew I needed motivation from the classes and social aspect of taking classes with people while still being in my home. I did not expect what I found in the Facebook group. A group over 100k plus riders all cheering each other on, helping newbies like myself, forming tribes to ride together, and subgroups for everything you can think of. Friends rallying behind each other for any need or cause. And, the instructors.. wow, they participate as much as the riders, and each instructor is incredible and accessible in their own right. As a bike I cannot tell you for sure if Peloton is the best physical indoor cycling bike on the market. I can tell you it is right up there with the best. I did my research and this bike is a beautiful machine and it does what it is supposed to. It has a small footprint and could fit in even the smallest of spaces. The software and classes are topnotch and I have had no technical issues. The classes run on a 21″ touchscreen Android tablet. 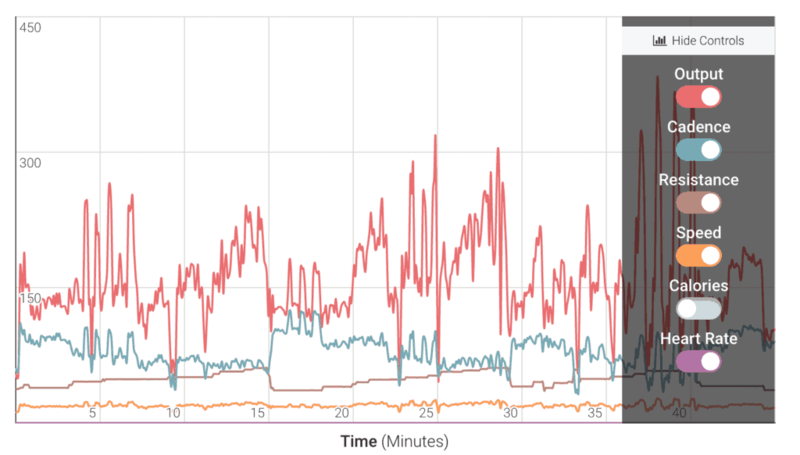 I have never had streaming issues and the Peloton team has always been available quickly if I have a question (in my case it was about syncing my heart rate monitor). I am able to connect a heart rate monitor, bluetooth speakers, or headphones and choose one of thousands of on demand or live classes to ride whenever I feel like. Technical updates are frequent and the Peloton team reaches out and listens to users for feedback on software features. The app is also easy to use, and both the app and tablet have lots of ride data for us geeks to obsesses over. I am also able to sync my rides to FitBit, Strava, and most recently my Apple Watch. It’s data overload actually but I love it. The Peloton bike is a beautiful piece of exercise equipment especially good for someone like me recovering from injury, and needing a low impact but calorie torching workout at home. The software and tablet is more than technically capable and does not have any issues which might drag the experience down. Amazing instructors who are involved in the community, live classes, thousands of on demand classes, and all kinds of different rides. There is something for everyone here. An encouraging community of like-minded riders supporting each other and forming friendships. We come from many backgrounds but we all bound over the love of our bike and Peloton experience. After two plus years with the bike I have made some great new friends. Workout wise the bike is what you make of it. Of course if you never ride or work up a sweat you may not get results. For me and every user I have spoken to this bike has been an inspiration. I have lost about 20 postpartum pounds and I am close to my pre-baby weight. I have no doubt if I continue this journey I will reach all of my goals. Riding this bike is fun, and addictive. This is the first workout I have done as an adult that I honestly love and has not felt like a chore. My enthusiasm for this bike has led my husband and I into outdoor cycling and road bikes as well. It has been a true lifestyle change. We also have friends who have seen our love for this bike and bought their own Peloton. 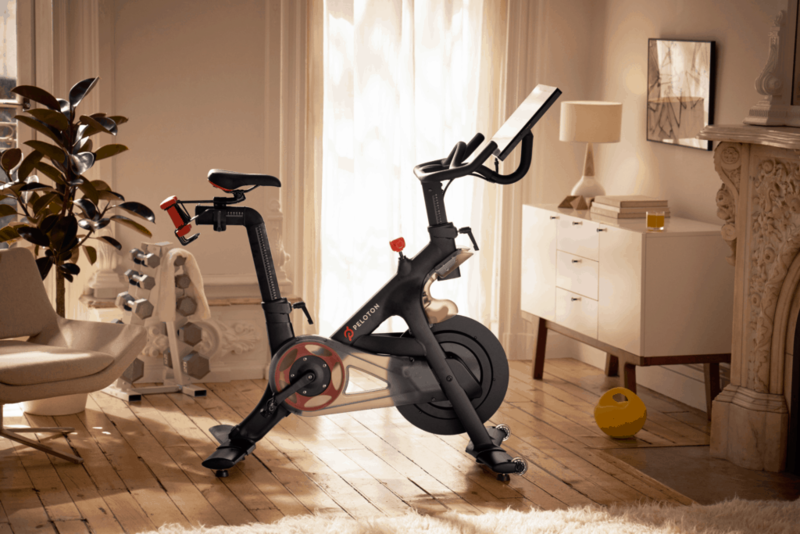 Since I originally wrote this review Peloton has added a ton of new content and a treadmill. They now have strength training of all types, yoga, meditations, boot camp type classes, running and walking, and this is all included with your membership subscription. I use all of these classes now daily in addition to cycling. DKDH9K, and we both get a $100 credit for Peloton accessories. I would have written this review even without such a motivator. I once read a book called Raving Fans. It was about how to make your company have raving fans, customers who raved about you or your product without prompting. Peloton has achieved this beyond anything I have seen in many companies. We all adore our bike so much we are more than happy to wear the Peloton gear and talk about it to anyone who will listen. Peloton is killing it with an amazing product and happy customers. And, of course if you have any questions or require any information about the Peloton cycle just let me know! Unfortunately, the listed promo code is not working anymore. If you want to use a promo code for $100 discount for any accessories (like shoes) then you can reply to the comment with your contacts and I’ll send it to you! Hi! Yes, I have hit my limit for referrals for this year. If you go to Facebook and look for the “Official Peloton Rider Page” and ask for a code there many will give one out. Thanks! I have referrals again for 2018 if anyone needs one! Yes, please. promo code for 2018 would be great. Hi, my promo codes have all been used I believe, but if you find the Official Peloton Member Page group on Facebook and ask for one you will get one from a member right away!